We recently interviewed Interior Designer Rachel Guest, IIDA, LEED AP, to discuss ways in which she uses Olioboard as an organization and presentation tool. In our interview, Rachel gives insightful tips in using our moodboard creation platform and discusses her creative process: from overall conception to client presentations. Whether you’re a design student, interior designer, decorator, or one of our amazingly creative community members, you’re sure to find some moodboarding inspiration, along with some fabulous “tips & tools” of the trade. Please tell us a little bit about yourself and your interior design business. 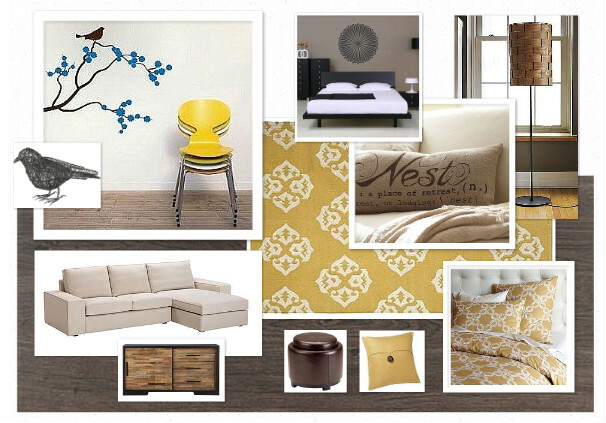 I’m currently an independent interior designer living in Austin, TX. I grew up in the Pacific Northwest, and have always had an interest in art and design, especially organic forms that relate to nature and the outdoors. In the past I’ve worked for both suppliers and large national design firms doing both residential and commercial design. A couple of years ago I set out on my own, retaining some clients from my last employer and developing new ones along the way. I’m a highly visual thinker and love using technology to bring ideas to life for my clients. In addition to design, Iove photography, hiking, being outside, and my beautiful Labrador retriever named Cowboy. What’s your preferred way to start a new project? How do you typically get inspired and creative in the early stages? I get inspired by helping my clients find their own unique style and expressing it in my work. I work very hard up front to understand my client’s desires by asking for a lot of input, and then establish some alternative concepts that express who the client is, and what I think will make them most comfortable in their environment. Once a design style is established – I get creative. What helps me in the initial stages is visually playing with pictures of inspirational settings or element or colors, and placing them together, filtering and adding, changing size based on the relationship to each element. As I “play” with visual relationships, ideas stem and I edit the design ideas. At times I may sketch out a relationship flow, if the projects have more than one program for the space. This is my design process and that’s why the accessibility of the tools Olioboard provides makes this process faster and easier for me to work through with my clients. 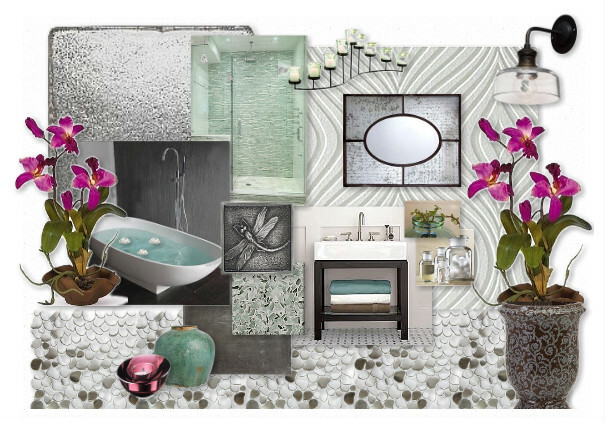 From Moodboard concept to final room design. Photos by Merrick Ales Photography. 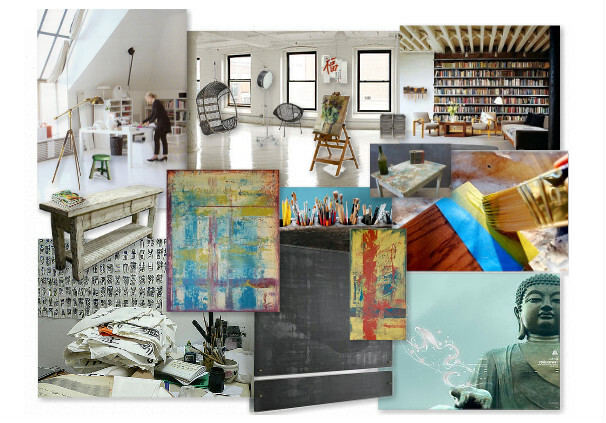 Can you name 3 ways in which Olioboard has become a useful tool for your interior design business? First, it helps me push farther in my design process because it is simple and easy to use. I can quickly generate several different design approaches to test the tastes and styles preferred by my clients. Second, I like being able to design first, then see budget implications second and because Olioboard is linked to specific products and pricing, I can quickly see how adding or subtracting elements will impact a client’s financial needs. Third, in addition to making it easy and quick to generate designs, it is very low cost (free!) and provides output in a very aesthetically pleasing understandable format that my clients can both relate to and appreciate. Prior to Olioboard, how did you present design direction ideas to your clients? I used to cut out pictures and spray mount them to foam core, then spray mount those elevated images to a large foam core. Then I would need to request material samples or go find them and hot glue gun them to the large board. This cost me in both time and materials and I ended up with piles of samples and many of these boards littered around my office. As my business has evolved I’ve moved to mostly digital presentations. For some clients, I have built entire websites to highlight materials and palettes to be used, for example when a client has multiple offices and is trying to develop a consistent theme. How have your clients reacted to Olioboard as a presentation tool? They’ve reacted positively, because the speed at which I can get them back creative and cohesive ideas has increased. Also because the culture has transitioned into such a digital world, that being able to send them an entire presentation in one snapshot of the design board I make on Olioboard simplifies so many aspects from the traditional ways interior designs have been presented. Finally, when they have a comment or a change request, I’m able to quickly and effectively change it and shoot the revised board back to them immediately – they love the quick response. It helps them to stay engaged and excited about the transformation of their space. In addition to the upcoming Olioboard Pro Plan (which includes a color scheme tool, text tool and budget tool), what features or improvements would make your life as a designer easier? I look forward to the Pro Plan for sure! But as far as any other improvements that could help me, I guess at this time, maybe a few pre-determined layout templates to help maintain a consistency in a presentation palette for repeat client projects. Another thing that I would like to see as a designer who shares her boards on FaceBook, I wish the like button, when hit on FaceBook, transferred over to show the love on the olioboard profile. What are three time saving /creative tips you would give to designers and members just starting to use Olioboard? Tip 2: Scale the image appropriate to what the real physical relationship would be in the environmental space – this helps to get the feel for the presence of the various products in the target space. Then later, you can play with size of images depending on the artistic presentation you want to convey to the client. 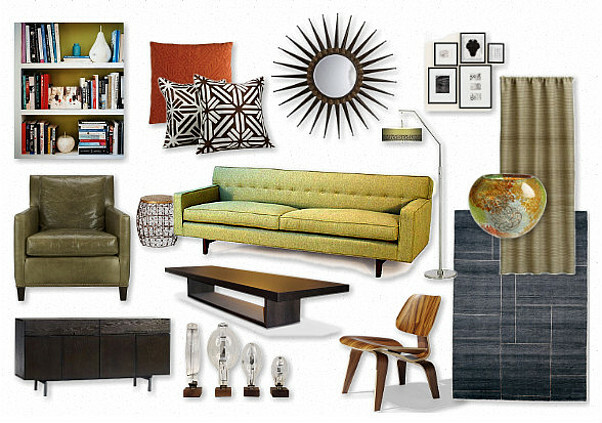 Tip 3: Depending on your design goal, present the products and images with a relating conceptual background. Adding in texture or utilizing images that can help give your presentation depth or a framing element is good, but keep in mind the simplicity is also often useful for expressing a vision – if you over complicate the design presentation, the client will have a hard time seeing the forest from trees, as they say. As a professional designer in the Austin community, Rachel Guest is President of RED Earth Designs and works on an array of creative interior design projects for both commercial and residential clients. An amateur artist and photographer, Rachel’s mission is to blend the functional needs of her clients with artistic touches that create unique and pleasing aesthetics for the spaces she creates. In addition to being a licensed interior designer, Rachel is an art school graduate and is accredited as a LEED-certified design professional, making her an expert in sustainable design. She worked on a LEED project that achieved a Gold Status in 2008, which also won an award for best construction of the year in Texas. Her expertise spans 12 years of material resourcing with broad technical experience in space planning, environmental design, and incorporating sensory elements that are fun and unusual. Rachel strongly believes in putting her talents, ideas and hard working efforts in giving back to the community. She has participated in many home remodels for non-profits such as Make A Wish and LifeWorks. She also enjoys donating custom art pieces, personalized photo shoots that are framed as part of the decor. Rachel and RED Earth Designs have won numerous awards for their community participation and projects. But her favorite part of these projects is to see how much they touch each individual and how the experience of the spacial interior environment is so important to the soul and it reminds her why she loves designing so much. To learn more about Rachel and to view her designer portfolio, visit www.redearthdesigns.com. Find Rachel on Olioboard, Twitter @REDEDesigns and Facebook.